As anyone doing business in Palm Beach knows, there are many amazing cafes, restaurants and bistros to entertain a client at. However, that doesn’t mean you can keep that client away from your office forever. Sooner or later, they’re going to want to size up your operation. Will you be ready? What if they drop by unannounced? How cluttered is your office space? If the answer is, “Very cluttered,” then it’s time to bring in the junk removal experts, Junk King. These are the professional junk haulers who can make a big difference around your office space. How do you know Junk King is professional? It starts with hiring teams of workers who are able to become bonded and insured. Even though they are removing items you’re done with, they still need to treat the rest of your property with care. Junk King also makes setting up an appointment around your schedule a priority. Often, homeowners have more flexibility with regard to getting junk cleared away. With a business, you might prefer taking care of the clutter removal after hours or on the weekend. That won’t be an issue for Junk King. You be assigned a two-man moving crew to complete your task. This is really all you need for a basic junk removal session. However, if you are clearing out a massive amount of equipment and furniture, you could request additional trucks and manpower. What about the labor cost? Actually, that is not something you need to worry about. Junk King will present you with a flat fee estimate before the work begins. That estimate covers all the labor, transportation and dumping charges. It is based on the volume of your stuff as it will fit on the back of the truck. You’ll never be charged by the pound with Junk King! Included in that affordable fee are all the potential recycle drop offs Junk King will make on behalf of your company. This will be a huge benefit if you’re getting rid of e-waste items like old computers, monitors or fax machines. You’ll be able to say you get rid of your junk the green way when you hire Junk King. 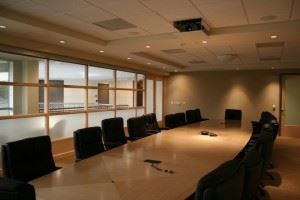 A cluttered office is not what your business should be all about. Get rid of that junk with help from Junk King. This entry was posted in Palm Beach Junk Removal and tagged Junk King, junk removal, office on October 31, 2015 by Dave Archer. Last updated July 31, 2017 . The one time of year you hope people call your house “scary” is during Halloween. That is when you’ve transformed your well-manicured front lawn into a form of cemetery. You’re getting ready for all the trick or treat visitors by giving them a “chill” or two. What you never want to hear from a visitor is that the inside of your home is scary. To avoid those kinds of comments, you should bring in the team from Junk King. These are the junk removal pros that can turn any scary basement, attic or garage into a thing of beauty. You could take our word for it or you could take the word of your fellow Palm Beach neighbors. They’ve been saying a lot of great things about Junk King. Your great Junk King experience begins when you set up an appointment with them. Junk King wants to take the stress out of getting rid of your junk. That is why they’ll schedule a time that works best for you. That could be early in the morning, over the weekend or within a couple of hours. Yes, Junk King can often provide same-day pickups. Won’t it be nice to get rid of your junk that fast? The crews working for Junk King will have a friendly smile and no problem attitude. You don’t have to feel guilty about asking them to climbs up stairs or lift something extremely heavy. They do that all day long without a complaint. Another huge benefit is the work you won’t see. This happens when Junk King sorts through your stuff to pull out any items that could be recycled. That includes anything that a local charity might benefit from. It’s all part of the eco-friendly disposal policy that has been part of Junk King’s business model since they began collecting junk over ten years ago. 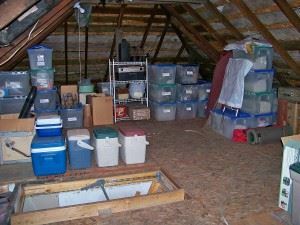 You don’t have to live with your basement, attic or garage junk for one day longer! Give it all to Junk King. This entry was posted in Palm Beach Junk Removal and tagged attic, basement, Junk King, junk removal on October 23, 2015 by Dave Archer. Last updated July 31, 2017 . Junk King’s scrap removal service is an efficient and reliable solution for a cluttered home. Cheap junk removal Palm Beach in Florida is now possible with us. Our idea is to acquire more clients by offering them our services at a low rate without compromising on the quality of services. And fortunately, we have come a long way depending solely on this policy. Our junk removal prices are extremely competitive and are based on the type of services we provide. We do not have a standard rate for all jobs because that means paying up more money by many clients for a small job. We provide our charges upfront on reaching the location depending on the amount of junk that needs removal. For a small removal project we send a small group of people and charge accordingly. For big projects like construction site removal job, we reach with a big truck and huge workforce so that the job is done within a certain time limit. Our clients are extremely satisfied with the rates we provide and that eventually get us more referrals to fulfill our business quota. This entry was posted in Palm Beach Junk Removal and tagged cheap junk removal florida on October 5, 2015 by Dave Archer. Last updated July 31, 2017 .